Oath, the new umbrella brand Verizon created by combining businesses such as AOL and Yahoo, has pledged to build on consumer trust around its brands that include HuffPost and MSN. Speaking at the IAB Digital Upfronts today, Nigel Clarkson, Oath’s managing director, country commercial director, UK, said it was aware the digital ad industry, including Oath, was "falling down on trust" following negative stories. Clarkson said trust at Oath is "essential" and was committed to doing something about the issue by building on its quality journalism and premium content, which by association offers advertisers five times as much consumer favourability. HuffPost’s new editor-in-chief Polly Curtis said its sponsored branded content was about "authenticity and engaging with audiences". Curtis explained the key to HuffPost’s success was by having a deeper relationship with its audiences, with the site reaching 200 million unique views globally. The biggest trend for HuffPost in online publishing was around mobile and video: "Our video strategy is helping it grow in the next year," Curtis said. Clarkson said for Oath its focus was around "content, data and technology" and cited the business as having the second highest reach online – more than Facebook – with 46 million unique users and over 1 billion unique views. "We don’t just chase people round the internet with cookies," he said. Oath, which launched in June and was nearly called Techne, Campus and Kid but violated too many trademark clauses, said it was committed to simplifying its brands. It will include having one delivery method for data and one ad exchange for video and mobile, with video and mobile being a key focus for the company across the next few years. 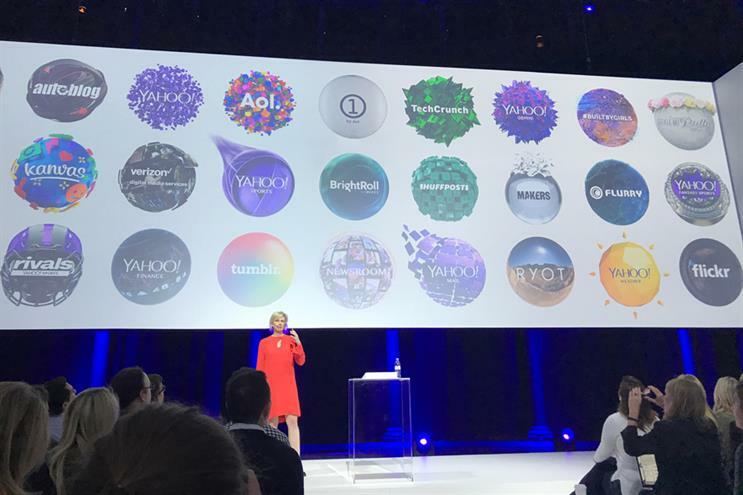 Stuart Flint, Oath’s vice-president of EMEA sales, who was previously AOL’s UK managing director, said: "Content is at the heart of everything we do in this business. Our differentiator is delivering high-quality content at scale." He continued: "Content marketing needs classification and we classify it in four ways: premium content; branded Content; premium partner content; and influencer content. Data was also key to Oath’s mission of "building brands people love" with the company being able to unlock data the equivalent of 10 million Blu-ray discs every day. Alex Timbs, head of data and attribution, UK added: "Data is moving from ‘who’ to ‘what’, which goes further than targeting." Oath's data tools have the capability to build a full picture of its consumers, going beyond demographics and focussing on "data audiences give away unknowingly", according to agency group lead Zoe Cocker. Cocker explained Oath could "add consumer data into a giant melting pot and look at the last 30 days of a consumer’s purchase habits and tell how they got there by tracking users journey online." By using this data, advertisers then have the capability to create innovative short-form content using its AR and VR tools if they wish across Oath’s RYOT platform. However, as Clarkson concluded: "We start with premium content in a trusted environment."